From Olympic champion to missionary, the rest of the story beyond Chariots of Fire is told. Kids ages 8-12 will learn of Liddell's incredible experience in China during the Japanese invasion of WWII. Special features include leader's guide with four lesson plans, background information, reproducibles and more. 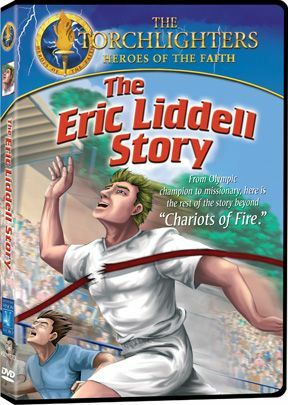 Exploring the story of Scottish national hero and Olympic Chariots of Fire champion Eric Liddell, the Christian History Institute production The Torchlighters: The Eric Liddell story is the latest volume in Vision Video's The Torchlighters animated Christian series for ages 8-12. With all the garbage out there passing for entertainment, it's always a treat to find something interesting, entertaining, and uplifting to watch. 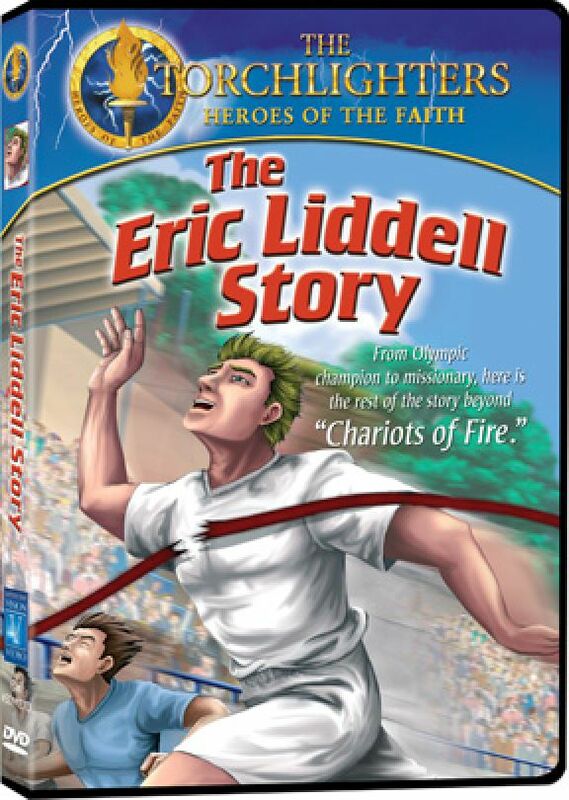 This cartoon video tells the story of Eric Liddell's life, beginning with his birth to missionary parents in China. His time in boarding school receives a brief mention before moving on to his running career and the Olympics. The story continues with his marriage and family life, his work as a missionary, and his death in a Japanese P.O.W. camp in mainland China. A man commonly remembered for something he didn't do, compete on Sunday, Eric Liddell's short life has many other lessons to teach. The providence of God is strongly portrayed in this uplifting story. The way Liddell continually sought God's will for his life is an example to every Christian. The story's Chinese narrator is a representative of the people that Liddell cared so deeply about and with whom he shared the gospel. The cartoon is well done, and the story is exceptional. The DVD includes a fifty-minute documentary about Eric Liddell, containing interviews with his oldest daughter, a well-known Liddell biographer, and a number of survivors from the Japanese internment camp where he passed away. A twenty-two page Sunday school leader's guide and sixteen pages of student hand-outs complete the package. 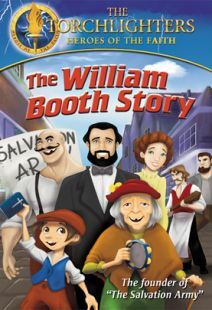 The Torchlighters video series is a series of animated DVD’s dedicated to “Highlighting the honor, integrity and life-changing experiences of those well-known and little-known Christian men, women and children who in response to God’s call, dedicated their lives to a life of whole-hearted commitment and passionate service to Jesus.” The series is targeted primarily at children between the ages of eight and twelve. It is a production of Christian History Institute along with International Films and Voice of the Martyrs. 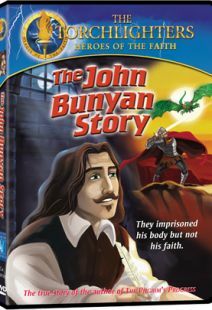 Previous entries in this series include brief biographical films of Jim Elliot, John Bunyan and William Tyndale. 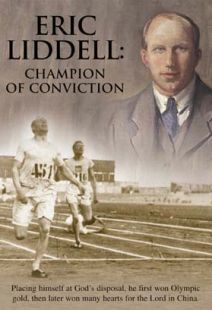 The fourth installment is The Eric Liddell Story. I have watched all of these films with the family and we’ve enjoyed them. 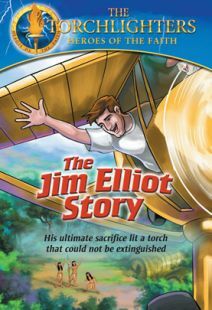 Like the others in the series, The Eric Liddell Story has moments that frightened the children—primarily when the Japanese Air Force was bombing China and the life of the story’s hero was in danger. But the film is definitely family fare. The quality of the animation has not really increased and it is a long way from the kind of animation you might see in the big-budget films on the silver screen. Still, my children didn’t seem to notice and they enjoyed learning more about Liddell. The film took them from his childhood in China, to his rise as one of the world’s fastest men, to his Olympic triumph and to his missionary service in China. It closes with his internment in a Japanese camp and stops short of his death there of a brain tumor. 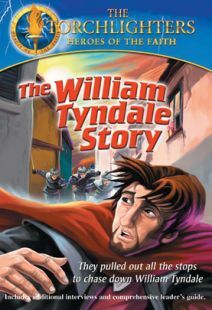 The story was narrated by a Chinese character representing one of the men who was saved through the ministry of Liddell. 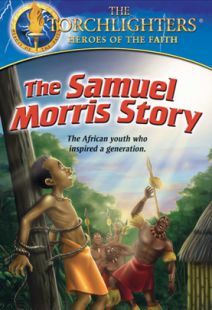 There is so much to talk about with children about Eric's story! 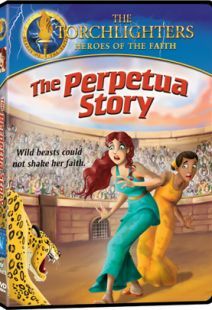 I am already planning four sessions with my Sunday School class because I can't wait to use this material. Thank you for providing such great classroom resources! I thought Eric's decision was a great decision because other people just want to become rich and famous, but he made the right choice. It taught me how to never give up and to help other people. I learned about how to have conviction, how to obey God, pray, and save the world with God's help. What was interesting was, you always have to think first about other people, and you always need to think about God because He's always with you. We have used some of your resources, such as the fun "torch race" with the story of Eric Liddell and during the Olympics. We have also developed some activities of our own to meet the interests of our group.